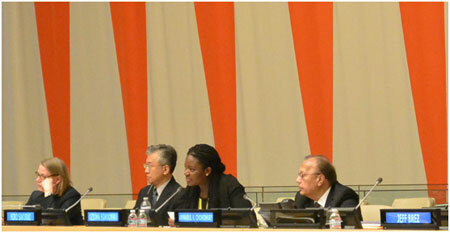 UNITED NATIONS, Apr 3 2014 (IPS) - For peace to be embedded in culture and society, it starts with childhood education which leads to the creation of global citizens, according to a panel of experts. Former Under-Secretary-General and High Representative of the U.N. Anwarul Chowdhury said fostering global citizens is important in achieving peace. “Peace cannot be gained by government actions alone. It’s individuals and communities that can sustain lasting peace. It rests on the persons capacity for non-violence and equality,” Chowdhury said.